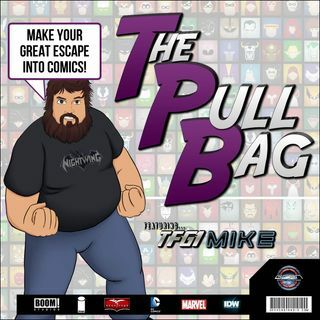 In the 115th episode of The Pull Bag we are celebrating 60 Years since Doc Brown fell and hit his head, thus coming up with the idea for The Flux Capacitor! Steve Megatron and TFG1Mike take a look inside IDW's Back to the Future #1! And always remember to MAKE YOUR GREAT ESCAPE into Comics!!!! The post TPB – EP 115 – IDW’s Back to the Future #1 appeared first on GeekCast Radio Network.